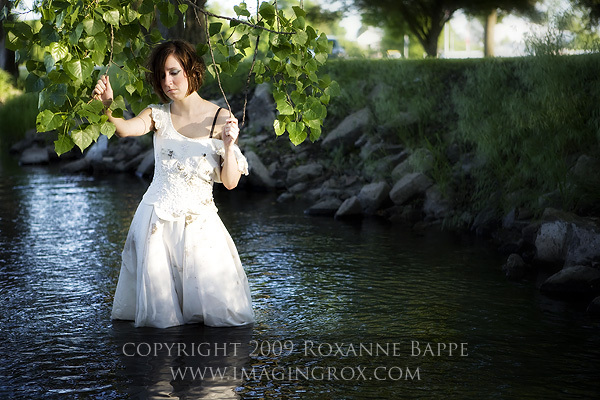 I recently stumbled upon a freebie wedding dress that was "mistakenly worn once". Well, we can't have that! So, I enlisted my co-worker friend, Kate, to play dress-up with me last night to intentionally put this dress through the ringer...it was no mistake. 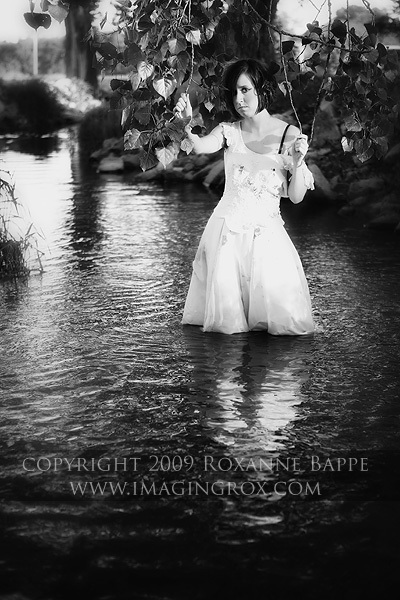 We made our way down to Minerva Creek for a "Trash the Dress" session of our own. I had such a great time...and the best part is that the dress isn't really trashed! Although the tag recommends dry cleaning, I put it in my front load washer, washed it in cold, and it came out clean and without damage! We are doing this again!! !